The Ministry of National Development (MND) has released the revised development charge (DC) rates for the redevelopment of land for the six months from March 1 to Aug 31, 2019. DC rates, which are revised half-yearly, are payable when planning permission is granted to carry out development projects that increase the value of the land, for example, rezoning to a higher value use and/or increasing the plot ratio. The revision in DC rates for commercial, hotel/hospitality and residential (non-landed) use groups announced on Feb 28 “was largely expected and reflective of current market conditions in the respective property segments”, notes Tricia Song, Colliers International head of research for Singapore. 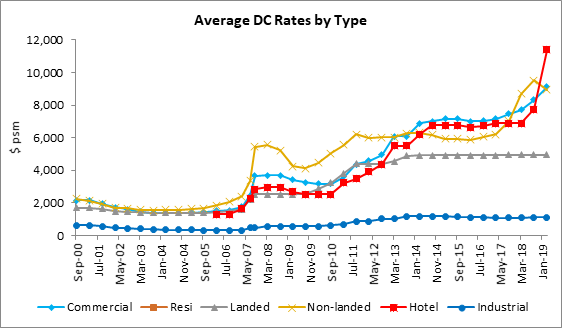 In this latest round of revision, the DC rates for commercial and hotel uses have been raised, taking into account stronger investment transactions over the last six months as well as brighter outlook for both sectors - underpinned by rising office rents and firmer RevPar (Revenue Per Available Room), notes Song. Meanwhile, DC rates for residential (non-landed) use have been cut. The cut was not unexpected, given the fewer transactions and weaker sentiment in the residential property market. “Since the fresh property cooling measures were implemented in July 2018, developers’ perceived risk-reward ratio on residential deals has shifted, resulting in waning investment appetite,” Song observes. In this current DC rate revision, five sectors – 59, 91, 93, 94, and 104 – saw the sharpest decrease of 13%, notes Colliers’ Song. 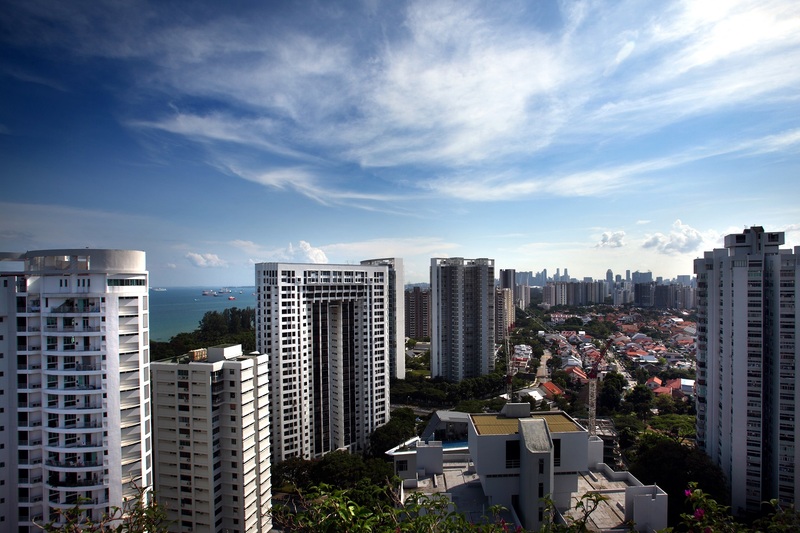 The largest declines in non-landed residential DC rates, appear to be in city fringe areas with large potential future supply such as East Coast and Hougang, she observes.